Dream of Riding a Motorcycle? Can you feel the warm California coast breeze on your neck; smell the sweet, salty air through your helmet; see the boundless horizon barreling toward you; hear the deep rumble of your motorcycle between you and the open road? Can you taste it? Wake up! It’s time to live it. 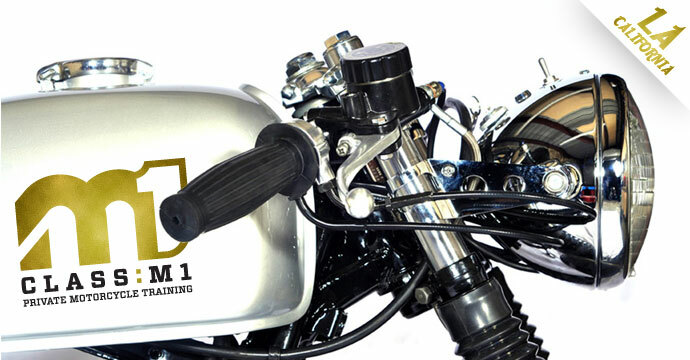 Class: M1 Private Motorcycle Training is here to help make your dream come true. We get that this is a big deal, and are excited to be a part of the journey. Never been on the business-end of a motorcycle? Desire some guidance and support transitioning from parking lot to traffic? Could you use a hand selecting and purchasing a first bike? How about a couple experienced hands (and feet) to get it home? Perhaps you are a previous rider wanting to brush-up or simply improve your skills. …Or maybe it’s a cool scooter to breeze through town you’re after? Class: M1 is along for the ride.